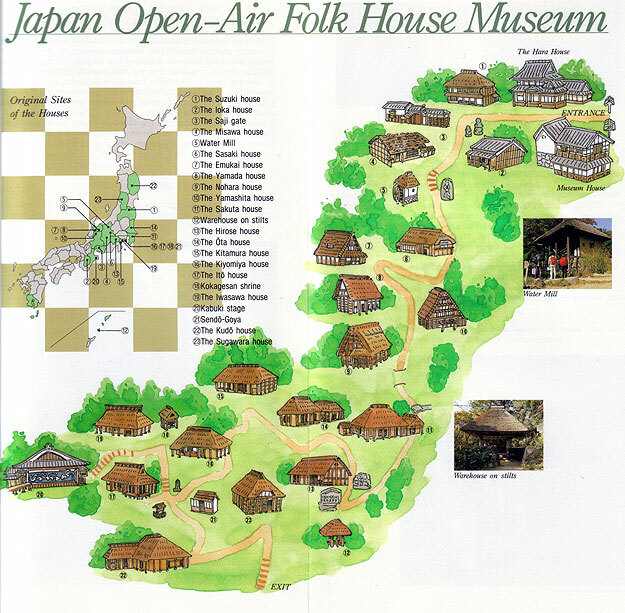 The Nihon Minka-en, or Japan Open-Air Folk House Museum, is an attempt to recreate 24 historical buildings from 15 different prefectures, dating from the late 17th to the early 20th century. 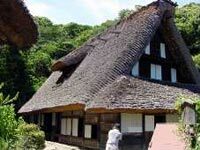 Most houses have dirt floor with an open hearth in the kitchen and thatched roofs. 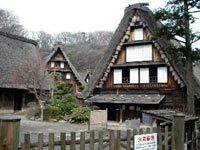 The city of Kawasaki began to relocate traditional dwellings in 1965 in a quiet, wooded park. A five minute video explains how they were dismounted piece by piece and reconstructed at the present location. Take the Odakyu line from Shinjuku Station and get off at Mukogaoka Yuen Station. It's about a 20min ride. 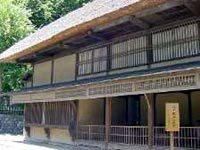 Note that the Nihon Minka-en is open from 9:30am to 4pm and is closed on Mondays (except national holidays) and days following national holidays (except weekends), as well as from 28 December to 4 January. 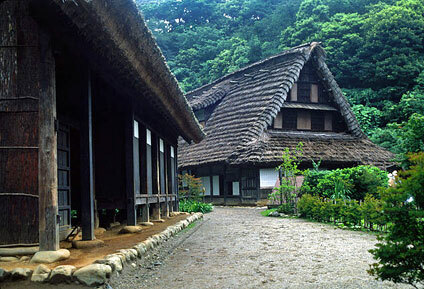 Admission is ￥500 for adults, ￥300 for high school and college students and free under 15 and over 65 years old.